The Mississippi Delta National Heritage Area is making up to $200,000 available for grants in 2018. MDNHA will hold a series of workshops across the Delta to present information about available grants that support local projects and activities that further MDNHA’s mission of fostering preservation, perpetuation and celebration of the Delta’s heritage through a climate of collaboration and sustainable economic development. The deadline for applications is Monday, March 26, 2018. Nonprofits, educational institutions, schools, units of local government and others are eligible for the grants and encouraged to attend one of the three workshops. Grants of up to $24,500 are available. The mission of The Delta Center is to promote greater understanding of Mississippi Delta culture and history and its significance to the world through education, partnerships and community engagement. The Delta Center serves as the management entity of the MDNHA and is the home of the International Delta Blues Project. For more information, visit www.deltacenterdsu.com. The Mississippi Delta National Heritage Area will hold a series of workshops across the Delta to present information about grants available in 2017 to support local projects and activities that further MDNHA’s mission of fostering preservation, perpetuation and celebration of the Delta’s heritage through a climate of collaboration and sustainable economic development. This is the second year the MDNHA has offered these workshops in conjunction with its grant program. Last year, 14 grants were funded by the MDNHA totalling over $185,000. Up to $200,000 will be available from MDNHA for grants in 2017. Nonprofits, educational institutions, schools, units of local government and others are eligible for the grants and encouraged to attend one of the three workshops. In addition to the funding available from the MDNHA grants program, several state agencies will participate in the workshops to discuss their respective grant opportunities. This partnership is part of the mission of the MDNHA, which is not only to create a grants resource itself, but also to help the citizens of the Mississippi Delta connect to as many grants opportunities as possible. Representatives from the MS Arts Commission, MS Humanities Council and MS Department of Archives and History will also be present at each workshop to discuss funding opportunities that may complement the work funded by MDNHA. The MDNHA was designated by U.S. Congress in 2009 and is governed by a board of directors representing agencies and organizations defined in the congressional legislation. More information about the MDNHA, including the complete approved management plan, is available at www.msdeltaheritage.com/grants. Information about the grants program is also available at this website. For more information, contact The Delta Center for Culture and Learning at 662-846-4311, or email hmiller@deltastate.edu or grants@msdeltaheritage.com. 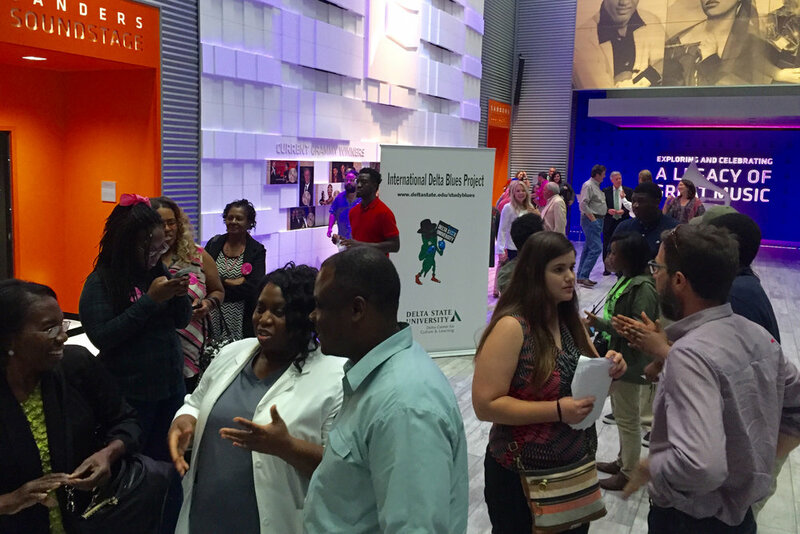 The Mississippi Delta National Heritage Area recently collaborated with The Delta Center for Culture and Learning and the International Delta Blues Project at Delta State University to present an “edu-taining” night of film and live music at GRAMMY Museum Mississippi in Cleveland. 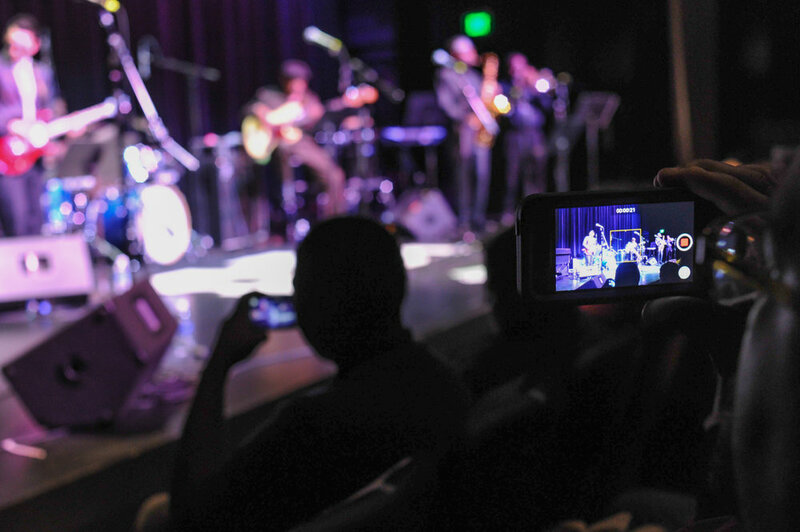 This incredible "sold out" event was free and open to the Mississippi Delta National Heritage Area region through generous support from the International Delta Blues Project. On Wednesday, October 12, film shorts created by students from Delta Hands for Hope of Shaw, MS, and the Rosedale Freedom Project of Rosedale, MS, were shown as part of a public screening of the award-winning documentary, “Take Me To the River.” The students attended after-school workshops learning film and oral history skills through a grant from the Mississippi Delta National Heritage Area. The students interviewed and photographed Mississippi Delta residents to learn how music has influenced the community and has shaped local culture. 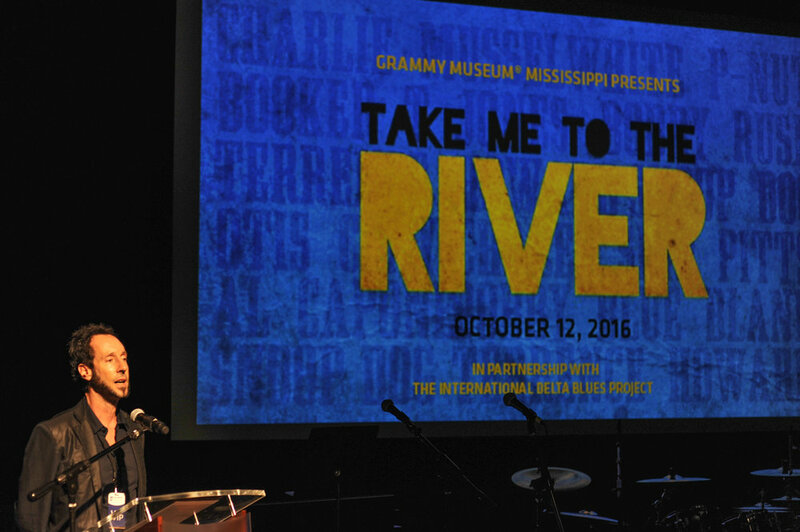 The standing-room-only crowd of 150 guests from throughout the region also watched a 45-minute version of the full-length documentary “Take Me to the River,” produced by Martin Shore and created at historic Royal Studios in Memphis. 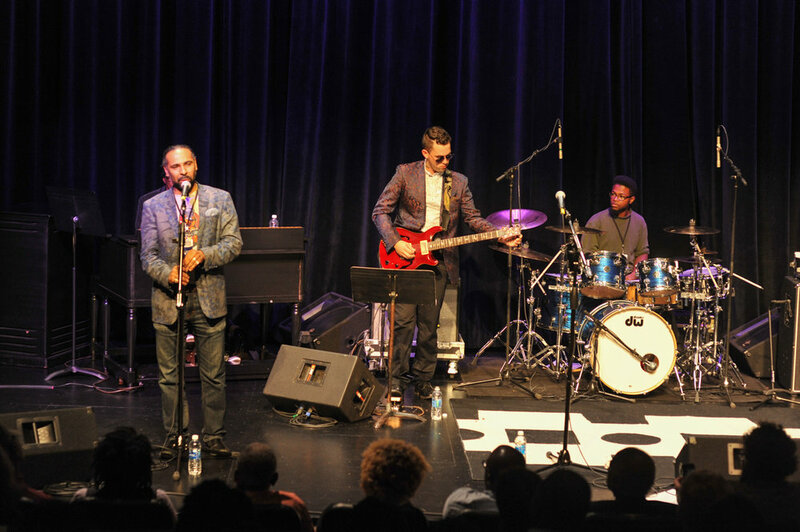 The film brings multiple generations of award-winning Memphis and Mississippi Delta musicians together, following them through the creative process of recording an historic new album. 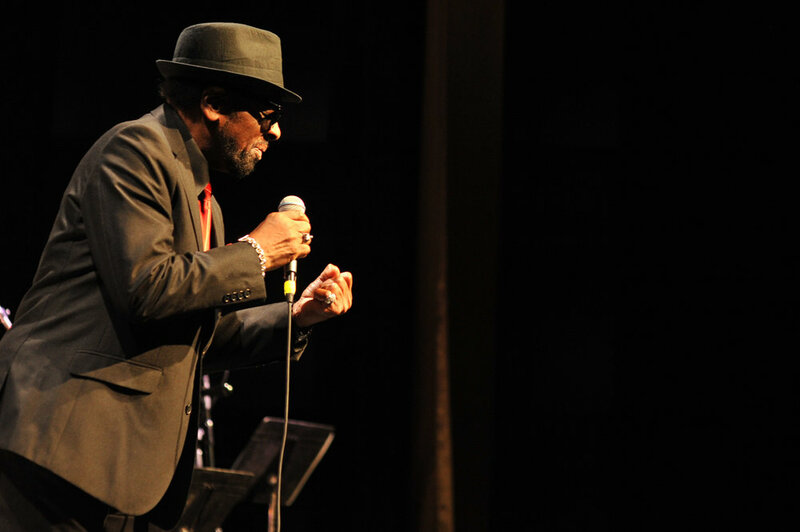 “Take Me To The River” features Terrence Howard, William Bell, Snoop Dog, Mavis Staples, Otis Clay, Lil P-Nut, Charlie Musselwhite, Bobby "Blue" Bland, Yo Gotti, Bobby Rush, Frayser Boy, The North Mississippi Allstars and many more. 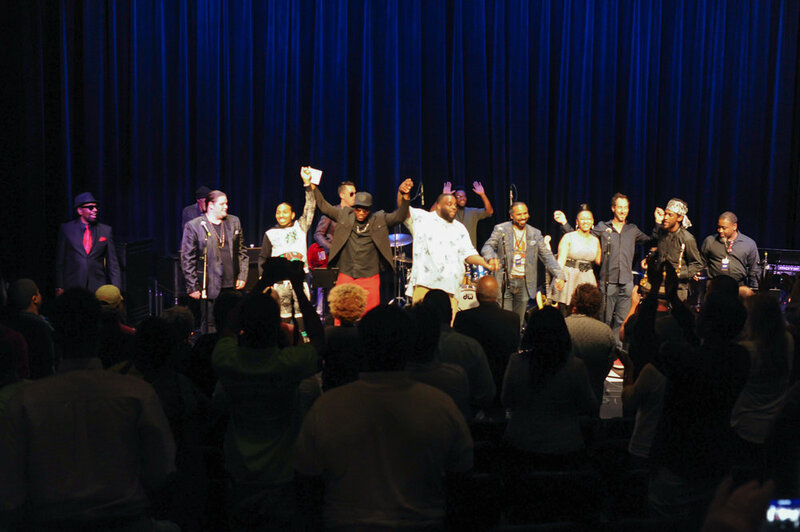 After viewing “Take Me to the River” and the student documentaries, the crowd enjoyed live performances from The Hi Rhythm section (featuring Charles and Leroy Hodges), Stax Music Academy Alumni Band, William Bell, Frayser Boy, Al Kapone, and GRAMMY winner Lawrence “Boo” Mitchell, owner of Royal Studios.